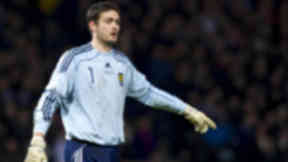 The £9m glove star is free to find a new club and has an admirer in Neil Lennon. 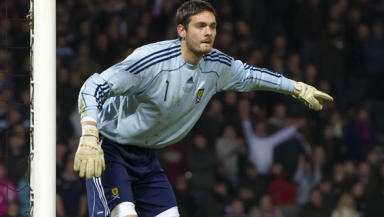 Scotland goalkeeper Craig Gordon has left the door open to return north and sign up with SPL champions Celtic. Neil Lennon is an admirer of the former Hearts keeper, who became the most expensive number one in British transfer history when Sunderland paid £9m to prise him away from Tynecastle in 2007. After a string of injuries Gordon lost his place in the team at the Stadium of Light to Simon Mignolet and is now free to find another club. Asked about the interest from Celtic, Gordon told the Daily Express he would be open to negotiating a move to the east end of Glasgow. He said: “I am just waiting to see what my options are and see what’s possible, and take it from there. “I’m out of contract now so it’s about seeing what offers come in and picking the best one from there, really. 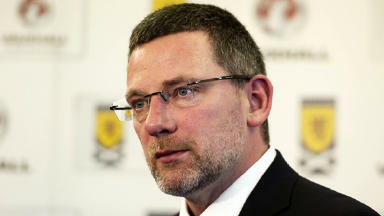 Gordon will re-join the international set up this month for the trip to the USA with Craig Levein’s squad and is hoping he can now force his way back in to contention ahead of the World Cup qualifying games. Gordon added: “I have been training for a few months now and I’m going away with Scotland and will hopefully train away there and hopefully get some time on the park against the USA.